With the impending release of Pasted Youth, the MP3s that were on this page have been removed. Sorry folks, but the copies on the CD are of better quality anyway. 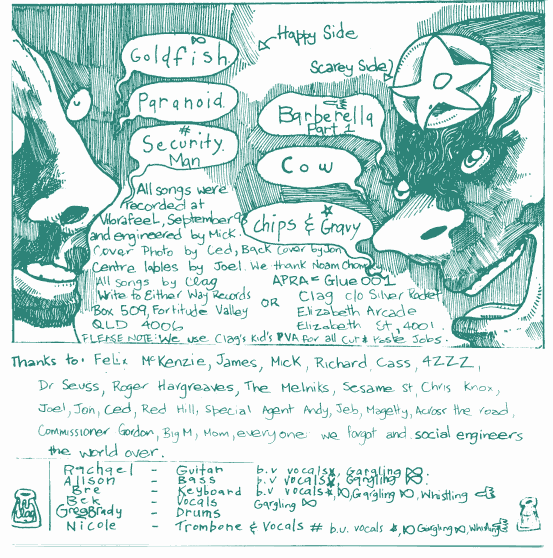 The MP3 of "Chips & Gravy" had been truncated; it has now been replaced with a complete copy. Apologies for the inconvenience. There are a few unsold vinyl copies of Manufacturing Resent and the two split 7"s available from Spill, if you want a piece of history. A retrospective CD compilation is also currently being planned; this will contain previously unreleased tracks. Released on 7" single in 1993, this recording is quite possibly the cutest thing ever committed to vinyl, and is a lost treasure of Australian twee indie-punk. As you can imagine, it is scarce as hen's teeth. A copy is presented here in MP3 format, in the interest of preserving this heritage for present and future generations of indie-pop fans. These tracks are not currently available anywhere else, either commercially or for free. 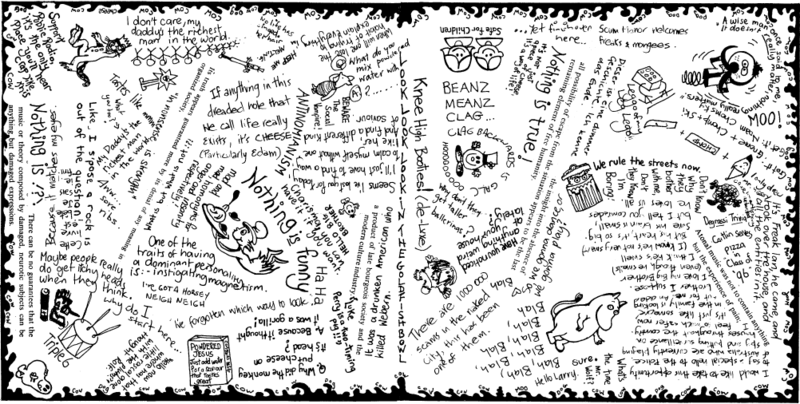 In March 2012, Chapter Music are rereleasing Pasted Youth, a remastered compilation of Clag's entire output, including many rare tracks and some live performances; the CD comes with extensive liner notes. More information may be found here. 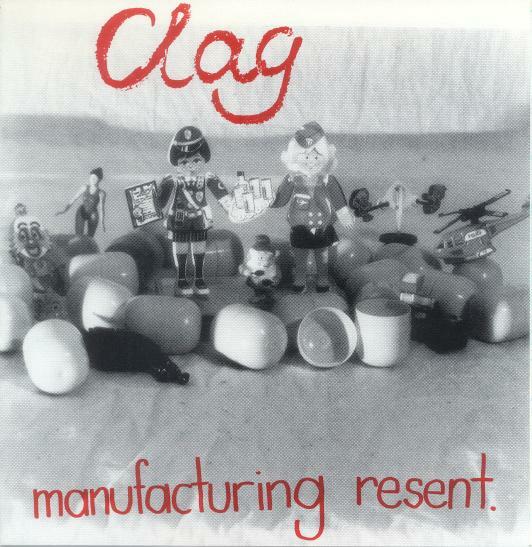 Clag have some music on Soundcloud here. There is a Facebook page here for more information. Brought to you by The Null Device. Private feedback may be sent by email to archive (at) dev.null.org.